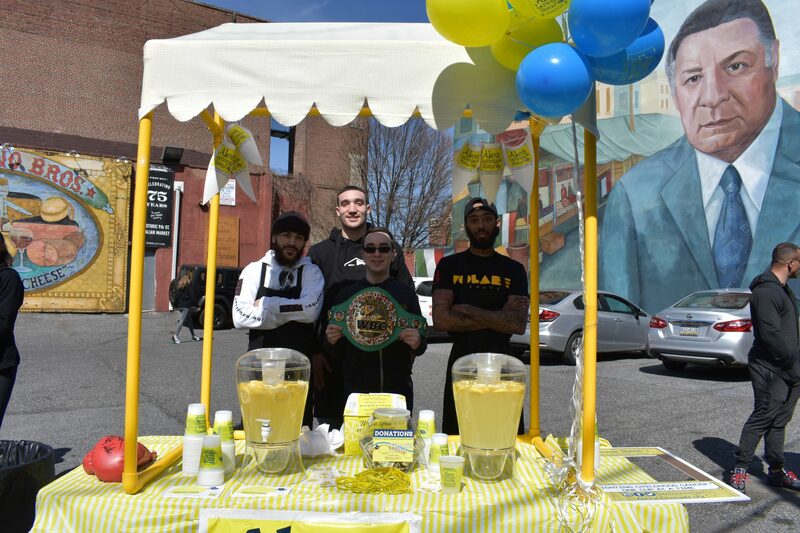 On Thursday, Sonny Conto, Oleksandr Gvozdyk and more ran an Alex’s Lemonade stand in the Italian Market. For children facing cancer, the battle is seldom a fair fight. So, taking some tips they’ve collected in the ring, a few local boxers leaned into the punch against pediatric illnesses last week through an Alex’s Lemonade stand popped up in the Italian Market. Marking their first collaborations, the nationally renowned nonprofit partnered with Top Rank boxing promotional company and Di Bruno Bros to host a booth in the piazza at 9th and Montrose streets where several boxers convened, including WBC light heavyweight champion Oleksandr Gvozdyk, heavyweight prospect Sonny Conto of South Philly, Ray Robinson, Donald Smith, Joshafat Ortiz and Jeremy Adorno. “Out here, we are fighting against childhood cancer, giving back to the community and we’re standing out here in the public, so everybody can support the cause for Cole,” said Conto, a native of the Lower Moyamensing neighborhood. 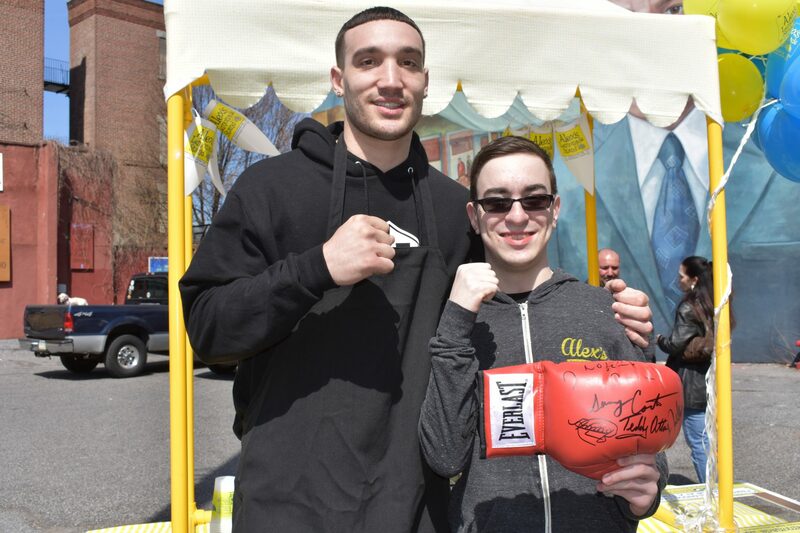 While the event promoted March 30’s ESPN-televised world light heavyweight matchup between Oleksandr “The Nail” Gvozdyk and Doudou Ngumbu at 2300 Arena, it also honored 15-year-old cancer survivor, Cole Patrick Fitzgerald who was on site distributing lemonade. The Washington Township resident, who was diagnosed with stage 4 neuroblastoma as a toddler, attributes his life to the Alex’s Lemonade Stand Foundation, saying he had only a 20 percent chance of survival. From January 2007 to April 2008, Fitzgerald, who is currently clinching a black belt in kickboxing, received six chemo treatments, several surgeries, including tumor removal, a successful stem cell transplant at CHOP, and 12 sessions of localized radiation, according to the event’s press release. Fitzgerald has now been in remission for a decade. Helping to organize the event, CEO of Raging Babe boxing promotion Michelle Rosado says, while planning the 2019 Fight Week, Top Rank felt inspired to embrace the community. Brainstorming forms of charity, the team was drawn to the childhood cancer research foundation. Some of the boxers have been personally affected by cancer, including super featherweight Joshafat Ortiz who says his mother is a breast cancer survivor. Participating in the afternoon’s charity was near and dear to his heart. While a donation goal was not established, iconic boxing trainer and fight commentator Teddy Atlas unexpectedly stopped by the stand and donated $3,000 to the cause. 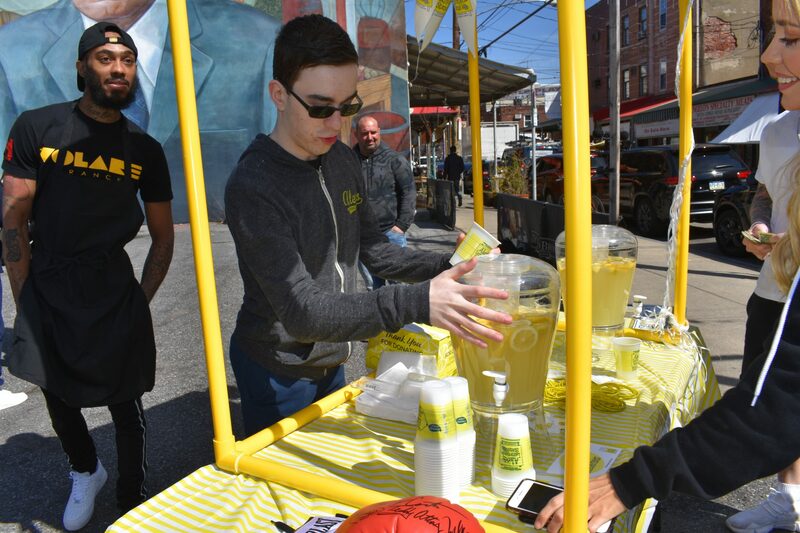 Although the Alex’s Lemonade Stand Foundation hosts dozens of stands per year across the country, Emily Mullen, a partnership specialist from the organization, says this event was exceptionally gratifying, as dozens of folks walking through the neighborhood donated cash throughout the morning and afternoon.